Home / Giveaways / All I Want For Christmas is a Drawer Decor System from KMN Home!! Ends 11/17! All I Want For Christmas is a Drawer Decor System from KMN Home!! Ends 11/17! 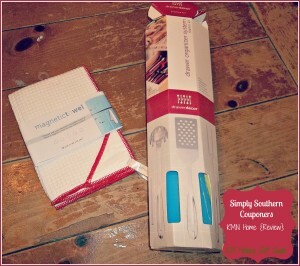 Tales From A Southern Mom is super excited to be partnering up with Simply Southern Couponers for this giveaway as part of their Holiday Gift Guide. It may not seem like something you think someone needs unless they are a mom. The Drawer Decor System could go in any room of the house. This would be a great way to declutter the drawer in the bathroom. Keep on reading to see how to get the chance to win your own. My Grandson’s favorite book is any of the Diary of A Wimpy Kid Books! My son’s favorite book would probably have to be Hansel and Gretal.